We are pleased to recognize True Grain Bread’s recent donation of $200 to support marine education and outreach at the Cowichan Estuary Nature Centre! True Grain Bread is located in Cowichan Bay Village. 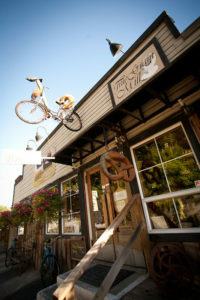 True Grain is truly a community landmark in Cowichan Bay. On any day of the week you can find residents sipping coffees and relaxing, local leaders and entrepreneurs holding meetings, and visitors taking in the beauty of the Bay while delighting in the loaves and pastries made from local BC grains. Stop by and see for yourself! We are so grateful to operate in a community full of support for one another. Many thanks True Grain Bread!